Our practice members often remark how warm and inviting our office is. We have designed our space to be comfortable and make you feel at home. You will find our location easily accessible from all of NEPA. Plan for 30-45 minutes for your First Visit if you bring your paperwork completed with you. You may download and print our forms right from this site! We ask that you print them off and fill them out before your first appointment. This will help so your first visit is not as long. Your health is important to us! We want to take the time we need during your First Visit. The purpose of our initial consultation is so we can get to know each other and determine if we can help. There is no charge for this service as we feel it would be inappropriate to charge you just to see whether or not you would be a good candidate for the type of care we provide. This also gives you an opportunity to tour our office, ask questions and decide if you would be comfortable here. During the consultation a staff member will pre qualify your insurance coverage (if applicable) so that you can be informed of any out of pocket expenses prior to utilizing any of our other services. If we don’t think we can help we will tell you so. Recommendations for other providers may be made. If we do think you would benefit from our care then we would recommend the appropriate chiropractic assessment. This can usually be done immediately. Before proceeding any fees for this visit would be discussed as well as any potential participation from your insurance provider so that there will be no surprises. Our practice members appreciate the fact that we explain everything in advance! 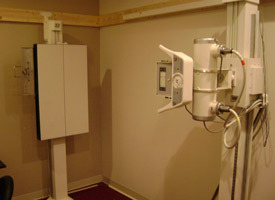 X-rays will be taken on site if necessary. The consultation helps us to determine if you’re likely to receive chiropractic care. Our thorough assessment might be very different than some other health practitioners you have visited. Our goal is to determine what areas of your spine and nervous system are involved and related to your health challenges. We utilize a variety of state-of-the-art assessment tools and x-rays (if necessary)to be as specific as possible in our recommendations. After your consultation and assessment, Dr. McAulliffe will bring you back to the front desk to schedule your second visit where we will discuss our findings and recommendations with you and your spouse.